Our mission is to make the message and medicine of self-love accessible and attainable to over 1 billion people worldwide so that within 3 generations we can create a world in which every child born is born connected to love and stays connected to that love, so that no matter what they face along their path in life they have the power within to stay true to themselves, trust themselves and to feel loved, supported, cared for, safe and strong. 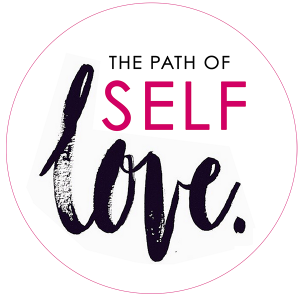 Founded on the world-recognized self-love teachings of transformational teacher Christine Arylo, The Path of Self Love School was created as an organization and a community of teachers, guides, ambassadors and students. Stay true to and take care of themselves, no matter what. End negative self-talk, self-bullying and self-sabotage, and gain the power to choose self-compassion over self-criticism. Say NO to abusive relationships of any kind (emotional or physical), loving themselves so much, they only choose loving, respectful relationships. Treat their body as a sacred vessel they care for, accept, and nourish, putting an end to sacrificing their health and happiness for others, for external success or for a cause. Know who they are at their core and have the internal strength, confidence and courage to create the realities their heart and soul desire, for themselves and the world. Trust themselves and follow their own inner guidance, always. Get the “medicine” and message of self-love into all communities regardless of race, income, age and religion. From middle class moms to women in prison to kids in private school to kids growing up in the inner city, we all need self-love, and most are not taught what it is and how to cultivate it. This is why we teach others self-love, because it will take all of us doing our part. Change the cultural definition of self-love. The dictionary defines self-love as conceit, vanity and narccissm. Our psychology texts and papers equate self love with narcissicm (which in fact self love and nacrissicm are inversely correlated). Self-love is just love directed to the self. So if giving love to someone else isn’t selfish, then neither is giving love to the self. To create a world in which every child born was born connected to love and stays connected to that love because they knew how to source love from within. To expand human consciousness beyond just self-esteem so that we can develop the full spectrum of self-love – all 10 kinds – that is needed to have a strong, rooted connection to and sense of self. To create a more loving world by choosing to love ourselves first. Love thy neighbor as thy love thyself. Simple wisdom thousands of year old we are still learning. For over a decade we have tested, experimented with, developed and taught self-love in practical and powerful ways with over 35,000 people of all kinds of backgrounds and ages on all continents. We don’t do everything, but we do teach self-love in practical, and powerful ways that are also fun, accessible and get deep into the roots where the lasting shift happens.